ABS is one of the rock stars of the 3D printing world. It’s inexpensive, easy to work with, and can make really strong and long-lasting products. 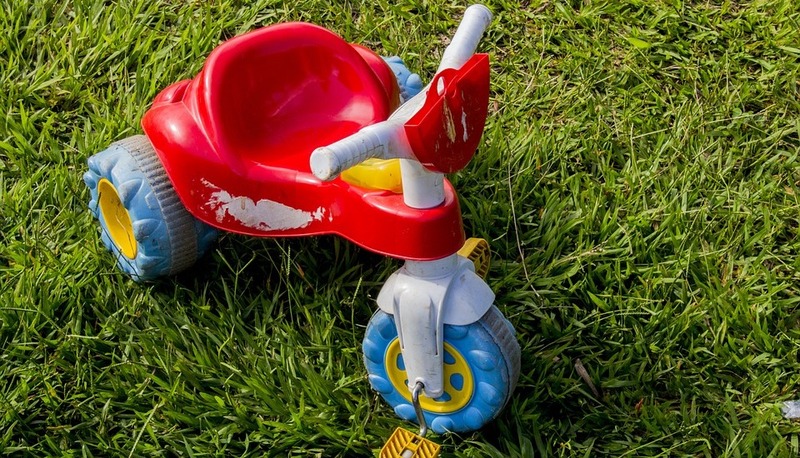 However, some of you may have noticed that products made from ABS tend to turn yellow and develop cracks when left out in the sun for too long. If you’re planning to print something meant for the outdoors – a sign, a bird house, or a fixture for your garden lights – then your best bet is the ABS filament’s tougher brother, the ASA filament. ASA refers to Acrylonitrile Styrene Acrylate. If that sounds like a mouthful, just keep in mind that the molecular structure of ASA is very similar to ABS. Instead of the butadiene rubber that acts as an impact modifier in ABS, ASA uses acrylate rubber embedded in a styrene-acrylonitrile matrix. The absence of a double bond in acrylate rubber gives ASA about ten times greater resistance against weathering and UV radiation compared to ABS. Due to its properties, ASA is mostly used in products meant for outdoor applications. This ranges from home and garden fixtures (gutters, drain pipes, mailboxes, shutters, flower boxes) to outdoor adventure equipment (boat hulls, windsurfing boards, outdoor camping equipment) and automotive parts (bumper covers, grilles, sideview mirror housings). What are the benefits of using ASA? ASA products are especially resistant to weathering and UV radiation, making ASA the perfect material for outdoor installations. ASA retains its glossy finish, color, and mechanical properties even after prolonged outdoor exposure. It also exhibits greater resistance to environmental stress cracking than ABS, a process by which thermoplastic products undergo brittle failure due to mechanical stress and reagent attack. Aside from outstanding weatherability, ASA also has also displayed good resistance against heat and chemical degradation. Products made from ASA can have a nice glossy finish, high impact resistance, and antistatic properties. ASA has good resistance against saturated hydrocarbons, lubricating oils, vegetable and animal oils, aqueous salt solutions, weak acid and alkalis, and water. However, it can be vulnerable to degradation by inorganic acids, aromatic hydrocarbons, esters, ethers, ketones, and some alcohols. A good thing about the susceptibility of ASA to degradation by ketones is that it can be polished by the most common polishing agent used for 3D prints – acetone. You can feel free to polish an ASA print as you would your ABS print. How do you work with ASA? 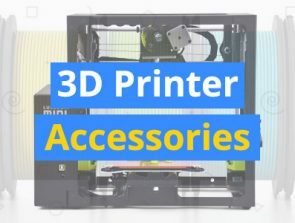 The settings for printing with ASA are very similar to those you would normally use for ABS. This means printing at very high temperatures, perhaps even beyond what some printer models are capable of delivering. We recommend a printing temperature between 230 and 250 °C, with more preference towards the higher settings. Just like ABS, ASA can be very temperature sensitive. 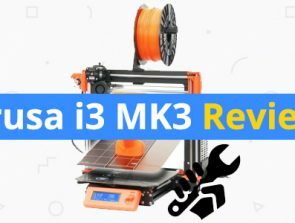 This means that a heated bed is absolutely necessary when printing with ASA. We recommend setting the temperature of your printing bed at 110 °C. However, some printing beds are not capable of reaching temperatures this high. In such cases, a temperature setting between 90 and 100 °C should do, but make sure that you are using good adhesion. Speaking of adhesion, we recommend applying a thin layer of hairspray on the heated bed. If that does not work, you can try using ABS juice, which is just a mixture of ABS dissolved in acetone. Brushing a thin layer of ABS juice on the printing bed will give you a more controlled layer of adhesion. A good third option will be using Kaptons Tape on your heated bed. Aside from providing good adhesion, using Kaptons Tape also helps make prints that have glossy and well-finished bottoms. Due to the tendency of ASA to warp, we do not recommend using a cooling fan during printing. Better yet, you can use an enclosure or a heated chamber to keep your print warm and to keep cool drafts out. You may be able to get a good print with a cooling fan set at a measly 10%, but it would be best to do a couple of test prints as results may vary. What are the drawbacks of ASA? ASA inherited most of the drawbacks from its predecessor, ABS. It requires a very high printing temperature and bed temperature, making the printing process very energy-intensive. Unfinished ASA prints have very high sensitivity to temperature, rendering them prone to warping, cracking, and shrinkage under less than ideal conditions. Another similarity of ABS and ASA is that both of them release noxious and toxic styrene gas during printing. We suggest printing in a room that can keep cool drafts out but still has a reliable ventilation system. Another thing to take note is that there is a price to pay for the extra durability and longevity of ASA. Compared to ABS, ASA filaments are slightly more expensive. You will likely have to choose your ASA prints more carefully. What are the best brands of ASA filaments? ASA filaments are not quite as popular as ABS or PLA, or even the other alternative materials such as Nylon or PETG. Right now, there are not that many manufacturers who sell ASA filaments, but we have listed below the best ones that are available. 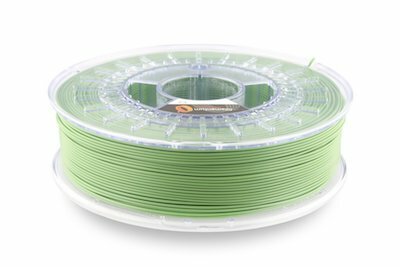 The ASA filament from Filament Express is currently one of the best-selling ASA filaments. Their filament is available in a 1.75mm size and sold in 1kg spools. Their ASA filament is only available in black. If you’re looking for ASA filaments that will allow you to be a little more creative, then the ASA Extrafill line from Fillamentum may be just what you need. Available in a huge variety of color, these ASA filaments are sold only at a size of 1.755mm and in 0.75kg spools. The selection of colors are extra funky, with choices such as Traffic Yellow and Green Grass. 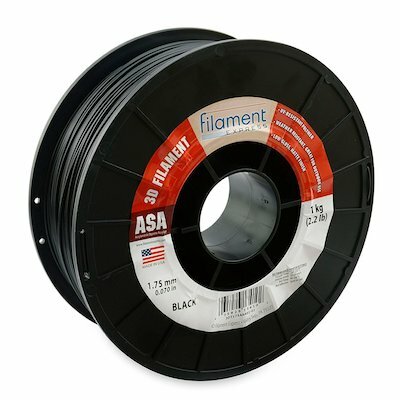 For those who want to work in big projects using ASA, Fillamentum also has an ASA Maxi Spool line. They are also available in diverse colors, and come in big 2.5kg spools. The Maxi Spool filaments are available in either 2.85mm or 1.75mm sizes. 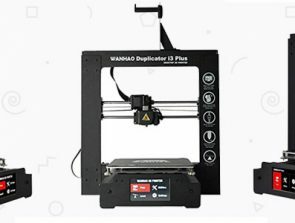 FormFutura claims that their ApolloX ASA filament line represents an improved version of the original ASA – it has better thermal stability, warps less easily, and has improved adhesion. This may be a great product if you would like to do away with the initial guess work involved with working with ASA for the first time. 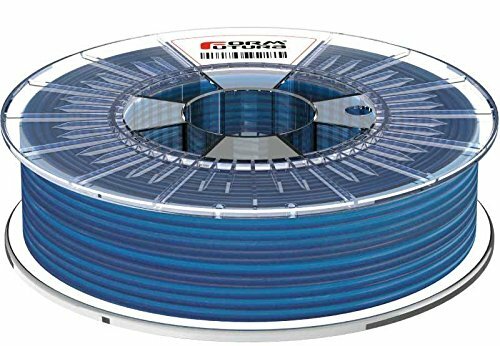 The ApolloX ASA filaments are 0.75kg spools and 1.75mm sizes. Recommended bed temperature 90 to 110 °C. We’re sure that you have heard of all the benefits of printing with ABS before – it’s cheap, super strong, and lasts for a long time. ASA retains all the physical strengths of ABS while being more resilient to environmental factors. It can be more expensive, and is also tricky to work with, but we believe the benefits are all worth it. If you’re planning to print something that will spend most of its time outdoors, then do it right this time around – use an ASA filament.